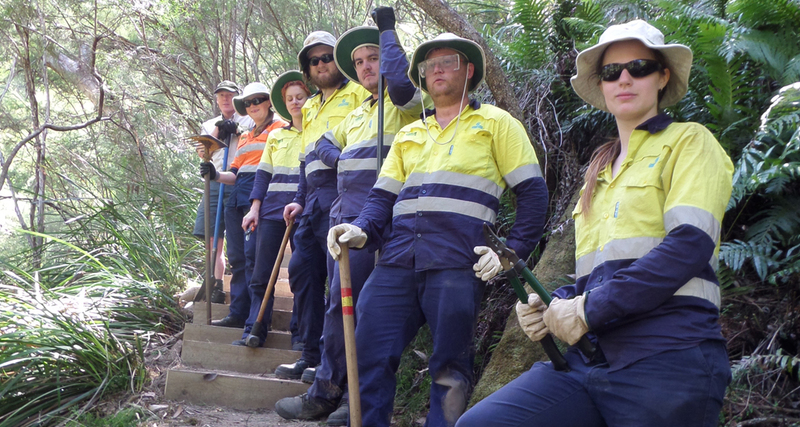 Parks Victoria ranger, Craig Campbell (at rear), on steps built on the Wirilda Walking Track in Tyers Park. Suggestions for articles for FriendsNET are welcome. Please email to friendvic@hotmail.com or to the Secretary, Stephen Derrick at ecosystems@bigpond.com .If you want to include photos, please send separately as high resolution jpeg images, preferably in landscape format if possible.